This presentation was presented as part of the panel, Conflict Sensitive Education Series - Measuring Progress Appropriately: Indicators for Safe Learning Environments, Conflict Sensitivity, Access and Retention, and Program Adaptation, at CIES 2018. 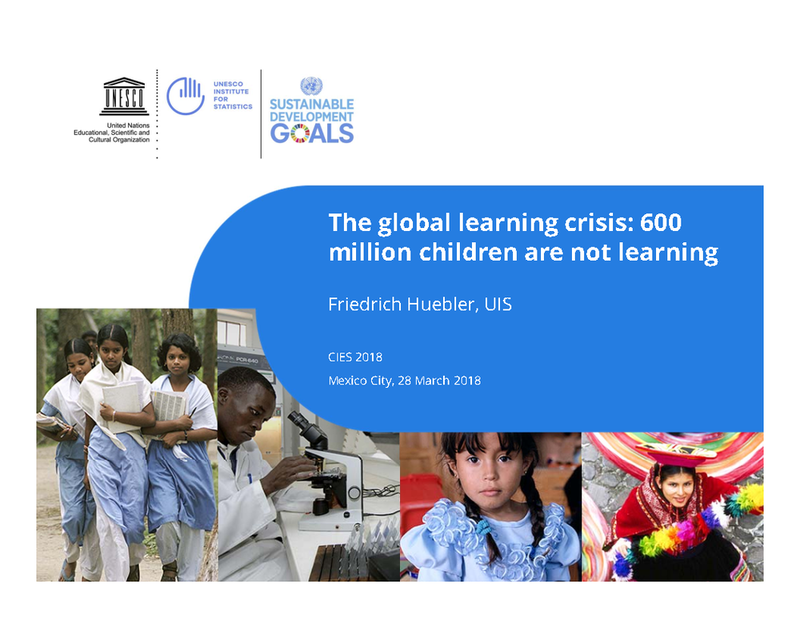 This presentation introduces the work conducted by the Equity Initiative’s workstream on conflict and fragility by briefly outlining general measurement concepts of equitable education access and key measurement challenges specific to conflict and fragility settings. It then introduces potential standard indicators on equitable education access that allows for aggregation and comparison across projects as well as guidance on how to develop customized indicators that recognize context-specific patterns of exclusion and education inequity. The project presented here is a partner initiative between the USAID-supported Education and Crisis and Conflict Network steering committee and Social Impact, Inc. It is an ongoing attempt to develop performance, process, and design indictors that could tell us if education initiatives are flexible and adaptive enough in emergency and unstable settings so as to continue to serve the needs of pupils and teachers as conditions change. To help implementing partners better measure safety within their own programs and to enhance conflict sensitive education more broadly, ECCN has developed a list of recommended indicators and performance indicator reference sheets (PIRS) related to safer learning environments. 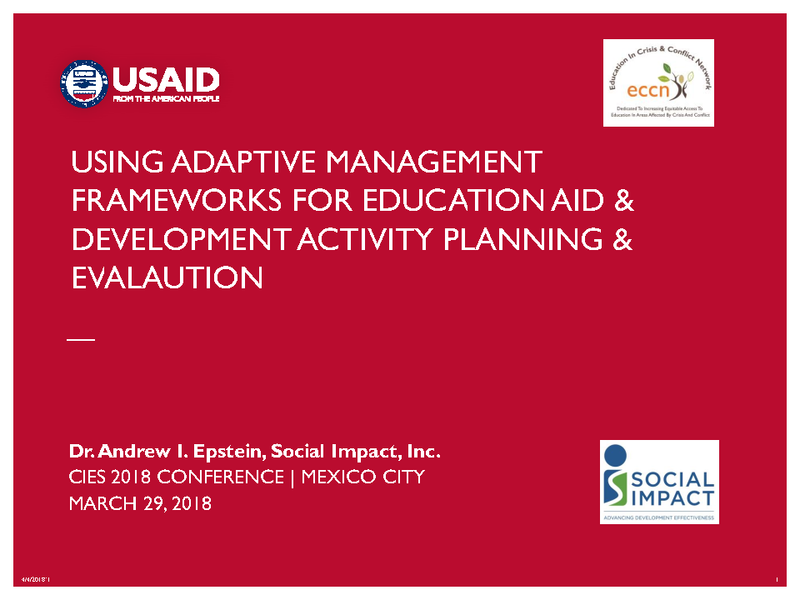 This presentation will briefly outline the crowd-sourced process that was utilized for developing the list, linking the importance of measuring SLE to the broader objective of conflict sensitive education, and then will present the recommended indicators and measurement specifications. This session presents recently published results of an analysis of survey and census data on education from 49 countries. Data sources include Demographic and Health Surveys supported by the US Agency for International Development, School-to-Work Transition Surveys carried out by the International Labour Organization, and population census data compiled by IPUMS-International. The data reveal persistent disparities between persons with and without disabilities with regard to school attendance, completion of education, and literacy.